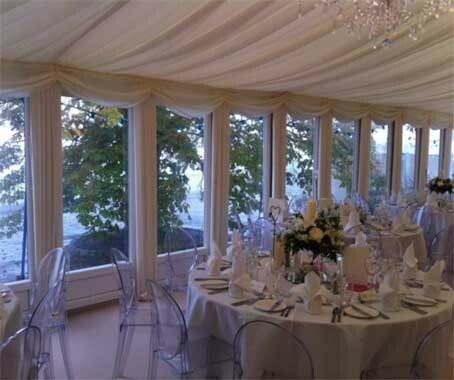 Prestige Catering are a family run business based in Belfast but providing catering for weddings across Northern Ireland. Established in 2006 by professional chef, Kevin McCourt, Prestige Catering offers a personalised approach to planning the food for your wedding and can supply excellent quality menus for your big day. McCourt has previously worked for Claridge's in London catering for large weddings. From your first free consultation through to the big day the team provides high quality, locally sourced food cooked by experienced and qualified chefs. The event is managed in-house tables are planned to your design, timings and colour scheme. Able to cater for up to 500 diners both indoors or outdoors, Prestige Catering only employ experienced staff to wait on guests. Having worked with many venues and establishing a network of people from across the wedding services sector, the team can also offer contacts for florists, DJ's, photographers and room decoration. After your first consultation you can expect to receive an accurate quotation with all charges broken down to detail staff, food and any equipment charges. They guarantee that there will never be any unexpected fees when you receive your bill. Awarded 5 stars by the Food Standards Agency you can put together your choice of sit down menu, hot fork or cold buffet and/or canapés. A three course sit down meal including hot drinks ranges from £18-£30 per head and £1.50-£4.00 per person per canape. Buffet prices are £10.95 per person for a choice of two hot dishes and a salad bar. Provide your details below and Prestige Catering will be in touch soon.